Have you ever looked at a gorilla and thought, “I want to be as smart as that big boy”? Well, then strap in tight, bucko, because do I have something for you: Gorilla Mind Rush review! — my take on Gorilla Mind’s “Brain Health Formula” that promises gorilla-like cognition — or something — with a stimulant-heavy, not-all-that-brain-healthy formula. Supplying a mix of natural nootropics and risky stimulants, Gorilla Mind Rush is one of the more unique cognitive enhancers on the nootropic market. Partially because this formula isn’t really all that suited for the nootropic market. If anything, this is a bodybuilder pre-workout stack. But, hey, nerds like to workout, too, right? No need to answer that. Instead, let’s just read the Gorilla Mind Rush review below. Who Takes Gorilla Mind Rush? Conclusion: Does Gorilla Mind Rush Work? Formulated by Derek? (DC7?) and Mike Cernovich, Gorilla Mind Rush is a stimulant-laden cognitive enhancer that misquotes itself as a “Brain Health Formula”. Part Nootropic: Gorilla Mind Rush does supply several natural nootropic ingredients for cholinergic and dopaminergic brain boosts. Part Stimulant: Yet, most brain activity here stems from Gorilla Mind Rush’s use of risky fat burners and energy stimulants. For a supplement that emphasizes honesty and transparency, the product’s use of a proprietary blend accomplishes the opposite: obscurity. 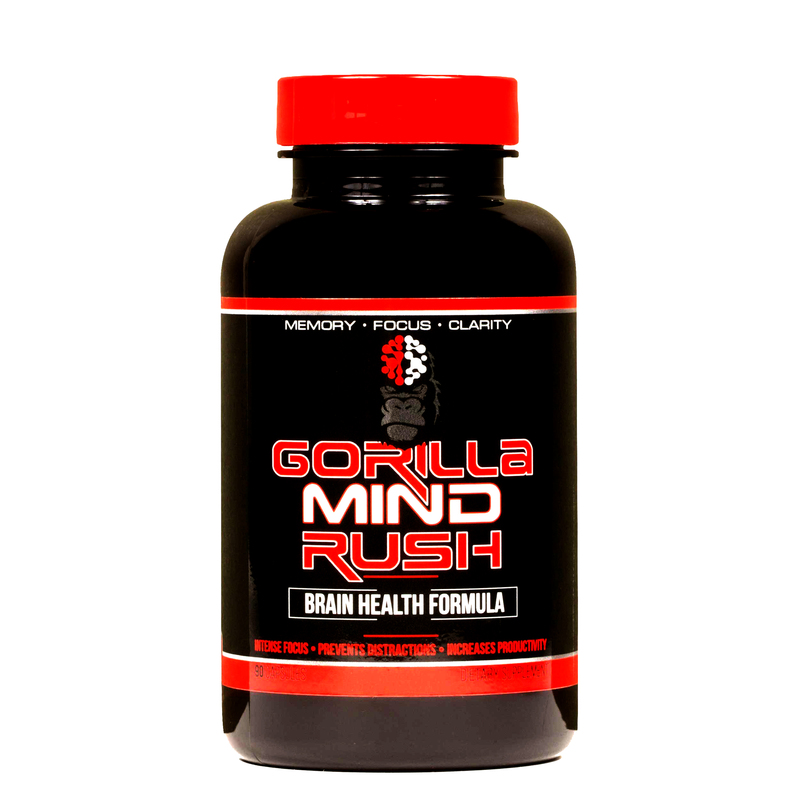 Gorilla Mind supplies three different nootropic formulas: Gorilla Mind Rush, Gorilla Mind Smooth, and Gorilla Mind Dream. Stay tuned for my later reviews on the other two formulas — but for now we’ll only be covering Gorilla Mind Rush, Gorilla Mind’s stimulating “Brain Health Formula” that’s, admittedly, not all that brain healthy. Check out the ingredients to see what I mean. DMAE (Dimethylaminoethanol) – Not the best first choice here, given that DMAE isn’t the most promising nootropic — at least for the average, healthy user. Centrophenoxine is a better version of DMAE, and even then I’d prefer to see a stronger cognitive enhancer in its place. More on DMAE. N-Acetyl L-Tyrosine – Here’s a decent follow up to DMAE. NALT is one of the best nootropics for enhancing mood, focus, and energy under conditions of stress and fatigue. More on N-Acetyl L-Tyrosine. L-Theanine – Another awesome amino nootropic, L-theanine is responsible for the calming effects of green tea, promoting alpha brainwaves for relaxed, yet wakeful cognition. Unlike other anti-anxiety nootropics, L-theanine achieves calm without sedation. More on L-Theanine. Alpha GPC 50% – A popular cholinergic nootropic and muscle performance enhancer, alpha-GPC supplies the highest concentration nootropic choline, even more than citicoline. (Although, citicoline is the preferred nootropic option, due to the compound’s duo mix of choline and cytidine.) More on Alpha GPC. Caffeine Anhydrous – Caffeine without water. In other words, powder caffeine. That’s what caffeine anhydrous is. Unfortunately, Gorilla Mind fails to reveal how much caffeine is supplied per serving. More on Caffeine. Di-Caffeine Malate – Caffeine bonded to malic acid, creating a milder, yet longer lasting caffeine experience. This ingredient essentially lengthens the effects of Gorilla Mind’s caffeine content over time. Bacopa Monnieri P.E. 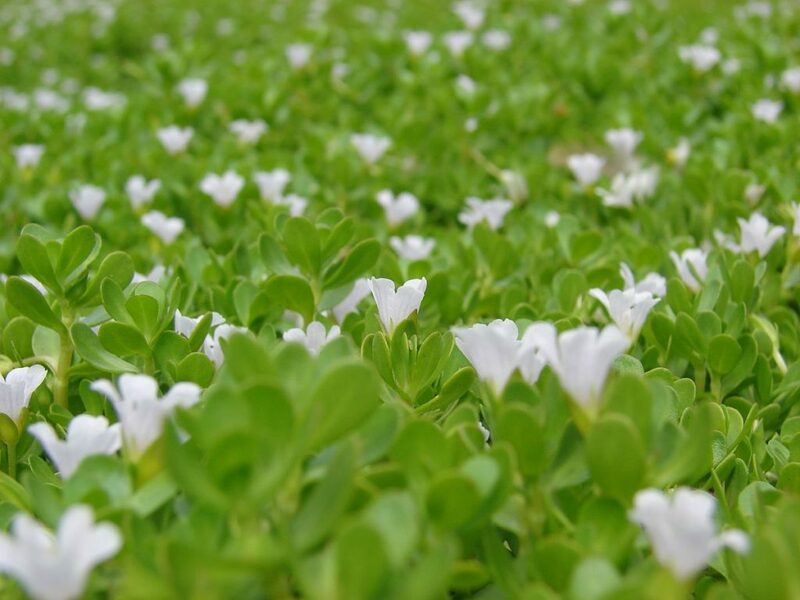 45% – Antioxidant, adaptogen, acetylcholinesterase inhibitor — Bacopa monnieri is a multipurpose Ayurvedic herb with immense nootropic value. Great for students, due to the herb’s benefits on memory and learning. More on Bacopa Monnieri. N-phenethyl Dimethylamine Citrate (Eria Jarensis Extract) – Valued more for its fat burning potential, N-phenethyl Dimethylamine Citrate is essentially a stimulant — not a true nootropic — that supplies euphoric energy and focus. 2-Aminoisoheptane (DMHA) – Another fat burner stimulant, DMHA is a stimulant energy booster and a potentially risky one. Unlike nootropic energy boosters, which increase energy via natural energy production, these stimulants supply the brain with unnatural boosts of energy — not necessarily the best cognitive enhancement strategy for the long-term. Higenamine – Again, fat burner, stimulant, risky — higenamine is not a nootropic. It’s more feel-good energy, this time mimicking the effects of ephedrine, another controversial, risky stimulant fat burner. BioPerine™ (Black Pepper Extract) – Never a bad idea to toss in a little BioPerine™ to your formula. Black pepper extract (piperine) significantly enhances nutrient absorption in tiny doses, improving the overall bioavailability of Gorilla Mind Rush. Huperzine A – Believed to inhibit acetylcholinesterase, the enzyme responsible for breaking down acetylcholine. This mechanism of action seems best for cognitive and memory longevity, helping the brain resist age-related cognitive decline. More on Huperzine A.
Psst! — hey, kid …want some ‘nanners? For a moment while writing this Gorilla Mind Rush review, I thought I was confused. And then I realized, no, I’m not the one who’s confused here. Gorilla Mind Rush is confused. They’re confused on the definition of “Brain Health” as applied in their phrase “Brain Health Formula”, because this is by no means a brain healthy formula. Granted, Gorilla Mind Rush does have brain healthy ingredients, most notably: N-Acetyl L-Tyrosine, L-Theanine, Alpha-GPC, Bacopa, and Hup-A — but, altogether, this formula is not great for brain health. In fact, Gorilla Mind Rush might actually diminish brain health, if used too frequently. And it’s all thanks to Gorilla Mind Rush’s risky stimulants that would be better suited for a fat burning supplement than a nootropic brain health supplement — and even so: this many stimulants would be questionable for a truly healthy fat burner stimulant. Perhaps bodybuilding users with gorilla bodies might be able to tolerate (and enjoy) this mix of Caffeine, Eria Jarensis extract, 2-Aminoisoheptane, and Higenamine. (For point of comparison, check out the pre-workout supplement Total War by RedCon1, a bodybuilding stack for, well, bodybuilders.) But for the health conscious nootropic community? Even the daredevil bio-hacking nootropic community? Nah, Gorilla Mind Rush reads more like a cheap-O proprietary formula that’s sneakily substituting true nootropic cognitive enhancement with temporary, feel-good stimulation. If you can convince consumers that the dopamine-releasing feel-good energy they’re receiving is healthy, they’re more than happy to buy more and more and more of your product. If you redefine Gorilla Mind Rush as a pre-workout bodybuilder supplement, it’s not a bad stack of intense-O energy and focus boosts. BioPerine™ black pepper extract enhances the potency of Gorilla Mind Rush’s formula. This amount of risky stimulants doesn’t really deserve a spot in a self-advertised “Brain Health Formula”, seeing that they’re not all that great for brain health. Gorilla Mind Rush’s proprietary blend obscures the individual ingredient dosages, which is somewhat reckless given that it’d be nice to know how much of each stimulant we’re receiving. The manufacturers boast of having no “sugars, preservatives & flavorings” in Gorilla Mind Rush, yet the Other Ingredients are packed full of unnecessary filler, additives, and colorants (e.g., FD&C Red#3). “Sorry, Credit Card Processing Is Unavailable – Please Use Bitcoin” – posted on the front page of the Gorilla Mind website. At time of writing, apparently the online Gorilla Mind store only accepts Bitcoin… What? Not too sure what Gorilla Mind’s getting at here. I could see, say, a Semax seller — or any seller of the more intense, hard-to-come-by nootropics — requesting cybercurrency-only payments. But Gorilla Mind Rush is a fairly run-of-the-mill OTC nootropic supplement. Not worth the hassle that currently goes into Bitcoin transactions. Developed by Mike Cernovich, Gorilla Mind Rush targets a similar community as Infowars’ Brain Force Plus nootropic supplement. Its “gorilla mindset” I tell it how it is and I do whatever I can to obtain an alpha edge over my enemies appeal seems geared more towards the aggressive, I-think-I’m-an-alpha types than the truly health conscious nootropic enthusiasts. Admittedly, even despite Cernovich’s “I won’t BS you, this is a product pitch” disclaimer, this product has me feeling cynical. Take this quote by Cernovich: “If you have a great product, don’t play games, don’t hide, man up or woman up and make your pitch.” — and then consider again that Gorilla Mind Rush hides its formula beneath a proprietary blend while encasing it in junky capsules. All under the guise of a “Brain Health Formula”. You can buy the book Gorilla Mindset on Amazon, if you’re into all that — otherwise, the supplement Gorilla Mind Rush seems to only sell through the Gorilla Mind website. And, as the website suggests, only to Bitcoin currency owners. 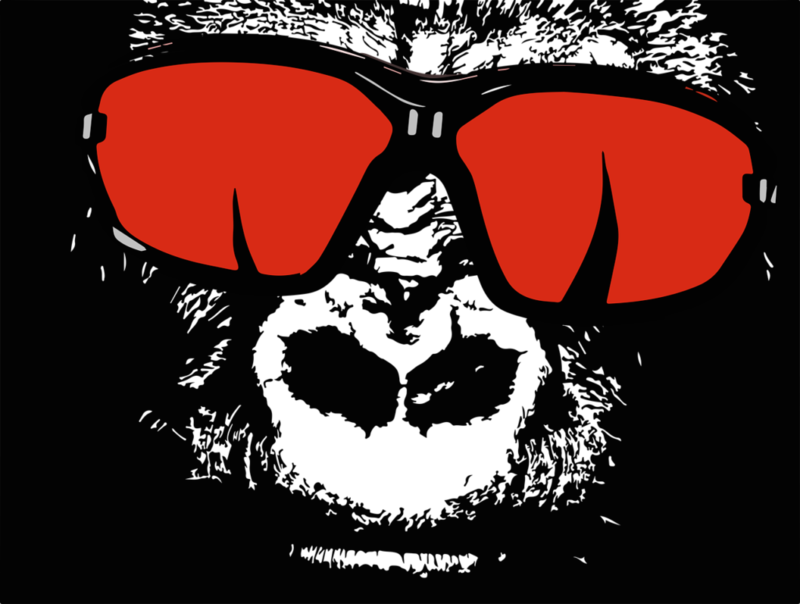 Gorilla Mind Rush will definitely get you amped and jazzed. And if you’re gorilla body can handle it, then hell yea: go for it. Gorilla Mind Rush works for energy and focus. But is it a genuine nootropic formula or healthy for the brain? No. Gorilla Mind Rush is at best a rather disingenuous stimulant energy booster that seems better suited for the bodybuilding community than the health conscious nootropic users. If you look up this stack on Google or YouTube, you’ll find plenty of meme material, similar to the meme material surrounding Infowars’ Super Male Vitality. Except unlike Infowars, Gorilla Mind takes itself way more seriously, erring into blatantly dishonest territory. My suggestion: ignore all the marketing and ironic “anti-marketing” hype surrounding this energy stimulant stack. See Gorilla Mind Rush exactly for what it is — not what it says it is — and judge for yourself whether or not this stack is for you. As for me, I’m saying nahhh… I’ll stick to my actual nootropics. Thank you for this informative article. It has been very helpful in cutting through the fluff.